Welcome to the IslandWood Garden! : Thoreau Elementary! We had a visit from Thoreau Elementary School, and were lucky enough to plant some seeds with some of their great students. 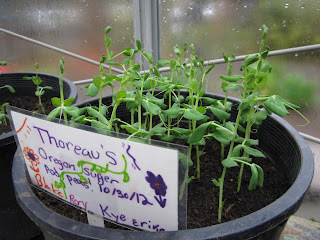 We have been carefully caring for the Oregon snow pea seeds that they so kindly planted for us during their visit. They are doing great, and sprouting up a storm. 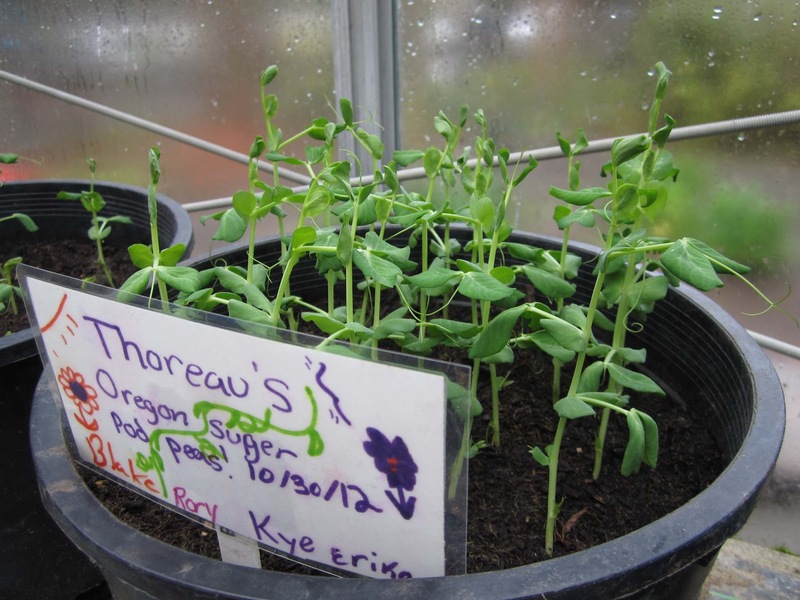 Check them out, and thank you Thoreau students for visiting the garden! 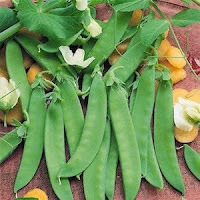 Common names: Oregon Sugar Pod Pea, Oregon Snow Pea, Oregon Giant Pea. A cool season crop, it is a hardy annual (surviving just one growing season) and is one of our nation's most popular pea varieties! However, if trying to grow in late fall and winter, they need to be in a greenhouse. Flavor: Tender and succulent, with a sweet flavor.